Determine the feasibility of implementing our products and get answers to your questions quickly. Based on your requirements, we help you build a solution as a proof of concept (POC) to demonstrate how it can be done. We include unlimited usage of tables and rows so you can thoroughly test the solution. Go deeper into evaluation and maximize your success so you can make the right decision. The POC project includes product licensing and support service for the commercial edition of the software for 6 months. 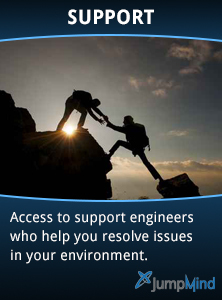 Our support staff can answer questions about the product and help you overcome technical issues. We also provide a dedicated product expert for up to 10 hours of consulting. Consulting sessions are scheduled within 1 business day. We work with you over email, phone, and screen share to help you build a working solution in a non-production environment for your specific use case. Your dedicated product consultant will help you use the software to implement a targeted use case, including analysing requirements, designing a solution, identifying any customizations, and building configuration. While project scope can vary, most projects see results within a few weeks. The POC is an effective way to solve a specific use case to help you justify purchasing the software solution.